Gift your future wife with this caricature photo frame and watch how she is left speechless! Even with a hilarious depiction of the couple, the sweet romantic message of yours is clearly seen in the effort of making it a personalized gift. Gifting this beautiful caricature will be a trendy way to encapsulate your loving partner. How gorgeous the couple looks in this attractive photo frame! The boy has just given a rose to his babe, and she has one hand on his neck. The beautiful sunny background behind them adds the much-needed glow to the picture. Just think how amazing you both will look in this caricature. If you want to make your wedding memorable, then this photo frame can do that job perfectly. 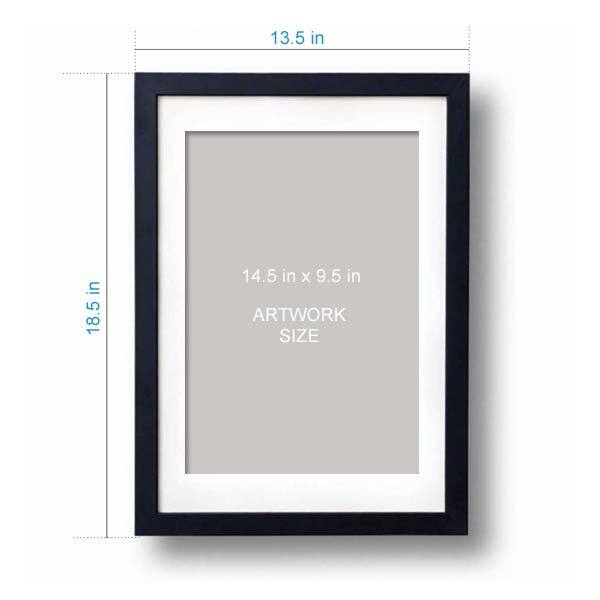 Think about displaying your faces in this photo frame on canvas on your special day. It is the trendy way that can be enjoyable for everyone attending the party. That۪s your opportunity as this unique wedding gift can add joy and ask you both to style whenever you see it. Just think about the smile on the face of your loving partner!